Is Cold Calling a Dead Marketing Method? Ask me that question, and my knee-jerk reaction is to say, “Yes, definitely.” With busy schedules and the likelihood of getting voicemail, the Do-Not-Call Registry, and the simple fact that I am not a phone person, I can’t see myself ever using cold calling as a way to find potential clients. You can identify a very specific target audience and can reach them via phone (after verifying they are not listed on the Do-Not-Call Registry). You have time and interest in making a lot of calls. You have a plan for before, during and after making the calls. You’re confident, friendly and conversational. You’re ready to deal with rejection. It’s not your only means of marketing but a part of a larger plan. If you’re one of the rare people on the planet who enjoy calling strangers to pitch a product or service, and generally fit the criteria listed above, then cold calling may be a beneficial marketing tool for you. Identify Clear Goals â€“ Before you make any calls, you need to pinpoint exactly what your aim is so you can get your message out quickly before you lose the interest of the other person. Have a Script â€“ While you will want to avoid sounding like a recording and inject some spontaneity in the call, you should have an outline of what you want to say to be sure to hit all of the main points during the call. Start with Existing Relationships â€“ Yes, cold calling usually means calling strangers, but you can also use the same technique to check-in with people you have networked with in the past. Do Your Research â€“ It’s not enough to have a list of phone numbers. Take the time to research each company you plan to call and personalize your script accordingly. Smile â€“ Your entire voice and tone changes when you smile, so take a minute to get yourself in the right frame of mind before dialing. Create a Follow-Up Plan â€“ During the call, aim to set up a time for another meeting, tell the potential client you will be sending them more information or ask if it’s okay for you to call back later in the week. Don’t wait for them to make the next move; be proactive. Practice, Practice, Practice â€“ Just like with public speaking, the more you practice the more comfortable you will be and the more success you will have. Do a few test runs, record yourself and critique your presentation. 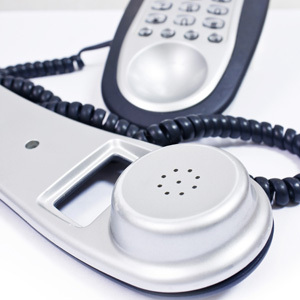 Do you ever use cold calling to drum up new business? Have you been successful?